Scott earned his bachelor’s degree in both finance and marketing from University of Maryland’s Smith School of Business in 1985. He started his career in 1986 offering fee-based financial plans and investment services and achieved the CERTIFIED FINANCIAL PLANNER™ certification in 1990. 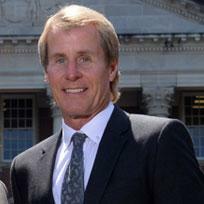 In 1996, Scott founded First Reserve Retirement Services, an independent financial services and investment firm based in Annapolis, Maryland, that specializes in developing and managing tactical, customized investment portfolios for individuals, trusts, and company retirement plans. After an extensive search, in 1996 Scott partnered with Commonwealth Financial Network®, one of the premier broker/dealers in the U.S., to help ensure his clients receive the best array of high quality investment choices. In addition to being an Accredited Investment Fiduciary® (AIF®), Scott holds FINRA Series 6, 7, 24, 63 and 66 securities registrations through Commonwealth, and is life, health, variable, and LTC insurance licensed. Scott E. Robinson is proud to have been recognized as a Business Experience advisor for 2017—a distinction based on annual production that places him among the top 49 percent of advisors affiliated with Commonwealth Financial Network. 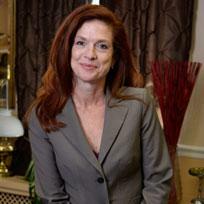 Suzanne earned her Bachelor of Science in Business Administration from The Ohio State University in 1990. She began her professional career as an Auditor for the Internal Revenue Service, followed by a 7 year career in the mortgage industry. After gaining extensive experience in tax matters and liability management, she expanded her service platform to include Financial Planning and Asset Management as Financial Advisor for Merrill Lynch beginning in December of 1999. With over 18 years of experience at a major wire house, Suzanne has managed clients through two complete market cycles including two significant market downturns in 2000 & 2008. Suzanne holds FINRA Series 7 & 66 securities registrations and is Life, Health, Variable, and Long Term Care insurance licensed in multiple states across the country. Her Client Centered approach encompasses all aspects of Financial Planning, including Asset & Liability Management, Insurance, Estate Planning and Tax Matters. To further her knowledge & capacity in serving her clients, she achieved the CERTIFIED FINANCIAL PLANNER™ certification in July of 2011. In September of 2017, following an extensive search and proper due diligence, Suzanne made the decision to join First Reserve Retirement Services, an independent financial services and investment firm based in Annapolis, Maryland. First Reserve’s founder and now partner, Scott E. Robinson, CFP®, AIF®, specializes in developing and managing tactical, customized investment portfolios for individuals, trusts, and company retirement plans under the supervision and support of the Commonwealth Financial Network. The teams combined strengths will further enhance and expand their client’s experience and provide the added security of a team-based approach, which is now becoming a standard in the industry. 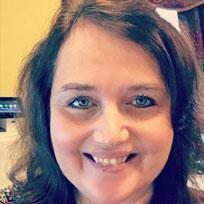 April joined First Reserve Retirement Services in July 2007 as an administrative and operations assistant. April assists Scott in all aspects of servicing our client’s accounts, which includes account review setup, account form processing, banking operations, and formatting quarterly reports. In addition, she oversees the company website and social media pages and assists with marketing for the firm.